CPA Gives A Masterclass In How To Renounce US Citizenship.  In this episode of The Expat Money Show, we interview Oliver Wagner to talk about a very controversial subject. That is, how to renounce US citizenship. We get answers to questions like: Why do people renounce their US citizenship? What is an Accidental American? How To Renounce US Citizenship? What are the pros and cons of renouncing US citizenship? What are the tax implications of renouncing US citizenship? and How much does it cost to renounce US citizenship? You may be asking yourself, is this for me? Let me tell you, this is not for 99% of the population. However, for a certain portion of my audience, it is extremely valuable. In my research, I’ve found a lack of reliable information for American Citizens who want to renounce their citizenship. We get into details why some people choose to do this and I am not saying people should do this, but for certain Expats, it really does make sense. Americans are taxed on worldwide income no matter where they live… so it can mean tens of thousands of dollars in taxes every year. I will also tell you that this interview is really dense. It is a Masterclass in how to renounce your citizenship, by a CPA who does this every day, all day. This interview is so packed full of information I decided to have the entire episode transcribed. This way you can go through it carefully. The transcription is at the bottom of the show notes for today’s interview. To access the transcript for this interview, go to the bottom of the page and download the PDF. Today’s guest is an IRS Enrolled Agent and CPA (Certified Public Accountant) who specializes in tax services for US expats. He is the best selling author of ‘U.S. Taxes for Worldly Americans’ and with his company, 1040 Abroad, his goal is to eliminate tax anxiety – by helping expatriates become US tax compliant. Why do people renounce their US citizenship? There are a whole host of reasons people renounce their US citizenship. The main reason is the tax implications. Oliver Wagner explains that it is often not the taxes themselves that people owe money for. It is the fee from their CPA or accountant who must file their tax return every year. Add to this all the yearly bureaucratic paperwork that goes into filing your taxes, renouncing your citizenship makes sense. Make sure to listen in to this complete episode with Olivier Wagner. Or you can download the transcripts at the bottom of this page to get the full explanation. What is an Accidental American? Who should consider renouncing their US citizenship? An Accidental American is someone who has dual citizenship and does not live in the USA. Perhaps they never actually lived in the USA at all. They may have been born there or one of their parents are American, so they are subject to citizen-based taxation. Or, as it is often referred to as worldwide taxation. If you are an American citizen or American green card holder and earn more than $10,000 a year it is your obligation to file a tax return no matter where you live in the world. If you are an American taxpayer and live as an Expat feel free to fill out the form at the bottom of this page for recommendations on a competent and trustworthy Expat CPA, like Olivier Wagner, who can file your taxes for you. It is worth every penny to hire a great CPA for your Expat taxes. They will help navigate the entire process and can often save you considerable amounts of money, certainly more than you have to pay them. Once again, it is mandatory to be tax compliant and we are able to help accidental Americans and other American Expats become tax compliant in a straightforward and expert manner. Although I do not believe income tax is just or right I never advise anyone to break the law and we do not deal in illegal or shady practices on The Expat Money Show or in any of my writing. I always encourage people to be tax compliant and seek advice based on their individual situation. This article or any material put out at The ExpatMoneyShow.com should not be considered individual tax advice. Olivier Wagner walks us through a step by step process of how to renounce US citizenship. We talk about the interview process, what will take place, where it is done, how many times you need to visit and what you should expect when you go. Really a step by step understanding of how to renounce US citizenship. In this interview with Oliver Wagner, we get into all the pros and cons of renouncing US citizenship. Once again it is a truly personal decision and it is important to have a full picture of all the tax implications when renouncing your US citizenship. I highly suggest you speak with someone who understands the entire process, it is very possible there are alternative options available to you instead of having to renounce your citizenship. What are the tax implications of renouncing US citizenship? With Oliver Wagner, we discuss all the tax implications of renouncing US citizenship. We get into the capital gains tax and the exit tax. And we dive deep into the difference between a covered Expatriate and a non-covered Expatriate. Olivier even tells some stories and examples on all the tax implications of renouncing US citizenship. How much does it cost to renounce US citizenship? We break down the costs in general terms what someone can expect to pay based on the exit tax fees, what you will pay your CPA or Tax Attorney, and how the capital gains tax works. It will also highly depend if you are already tax compliant or if you must have your previous 5 years of tax returns filed. Olivier Wagner highlights what his firm typically charges for their services. Download it now or access the show notes below for the full breakdown. The other thing I will note here is for the right person renouncing your US citizenship can actually save you tens of thousands of dollars a year in taxes that are owed to the IRS. Want other tax saving strategies? Learn more about setting up an Offshore Company or opening an Offshore Bank Account in Belize by clicking here. Want help Renouncing your citizenship or need your questions answered today? As a free service, I am happy to introduce you to Olivier Wagner for your US Expat Tax Return or for more information on Renouncing your US Citizenship. Just fill out your details below and my team will be happy to make an introduction. For an introduction to a trustworthy CPA or Tax Attorney please fill out the form below and my team will be able to make a professional recommendation based on your needs. Renouncing your US Citizenship is a deeply personal decision and you should never allow anyone to influence you one way or another if it is right for you. My goal with this interview with Olivier Wagner is to really paint a clear picture of all the pros and cons of renouncing US citizenship so you have a much clearer picture of how to renounce US citizenship and if it is the right decision for you.